I mentioned in my last post about the leaves finally starting to change color. You can bring fall inside with lovely 3D leaf ornaments! 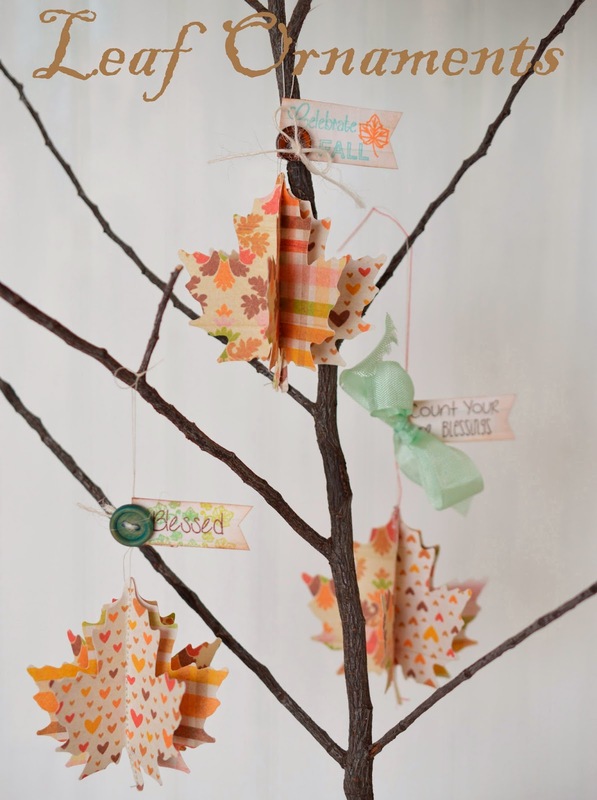 Welcome to the November Paper Sweeties Challenge! It's a color challenge. 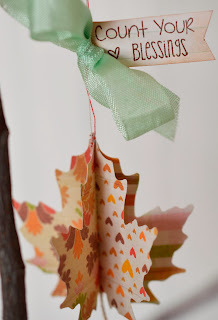 You can see all the colors at the Paper Sweeties Blog. These pretty leaves are so easy to make. 1. Punch or die cut three leaves (this will work with about any shape). 2. Stack the three leaves on top of each other. 3. Now you will sew vertically down the leaf - be sure to pull a long lead tail before you start. That way you will have enough thread to add decoration and to hang the leaf. 4. 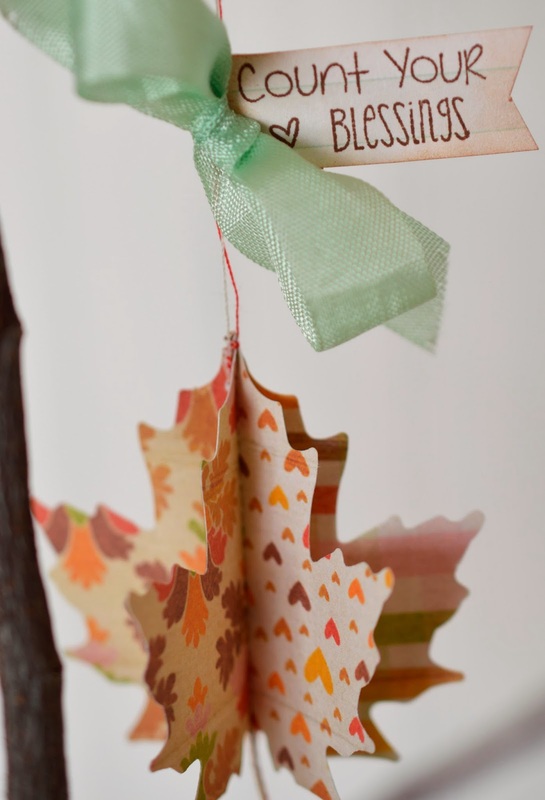 Decorate with stamps from Paper Sweeties - like these from Autumn Blessings and Give Thanks. Spread the layers apart. And you're done! 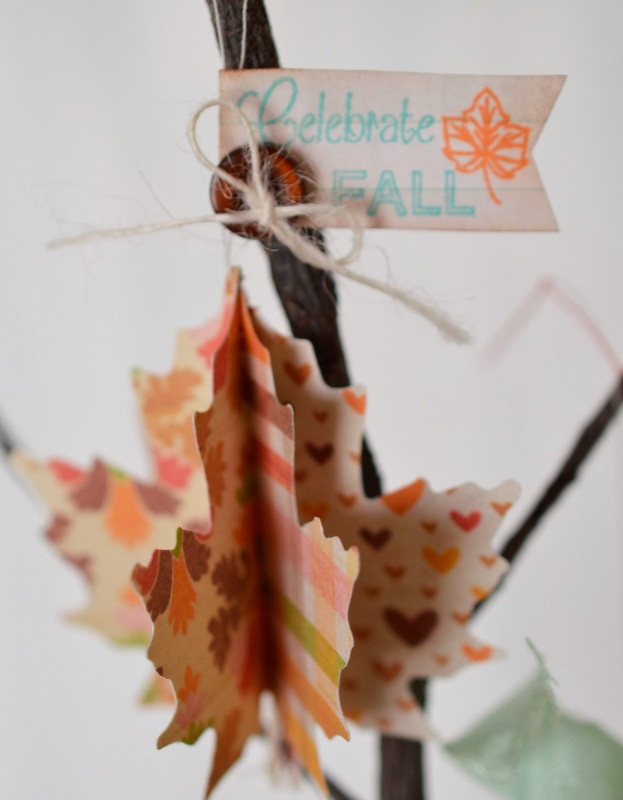 The paper for these leaves is from Forever Fall at Shabby Miss Jenn's Designs. Come join us at the Paper Sweeties blog to get all the details on the challenge. They turned out so pretty. Love the papers you used.. 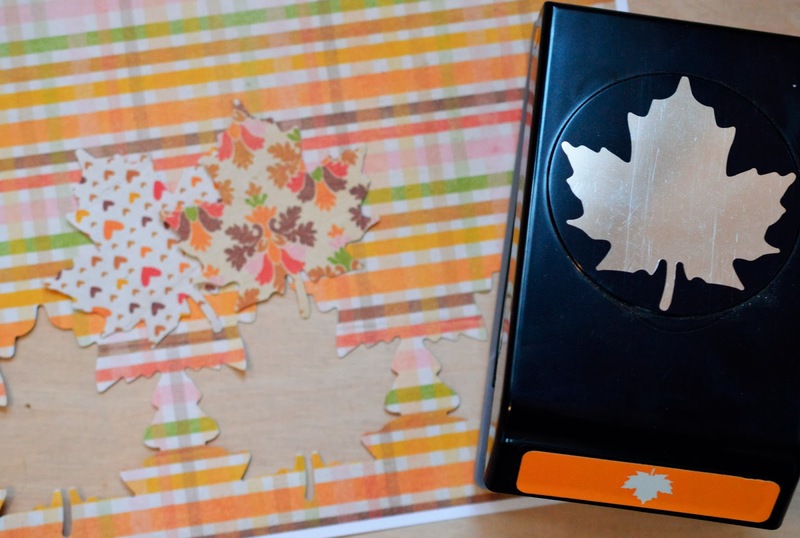 Your leaves look MUCH MUCH more adorable than those outside, Lori, what a great idea and you've used such lovely papers, too! Fabulous and love the maple leaf :-) Have a great weekend. So very pretty! Love all the dimensional colorful leaves! 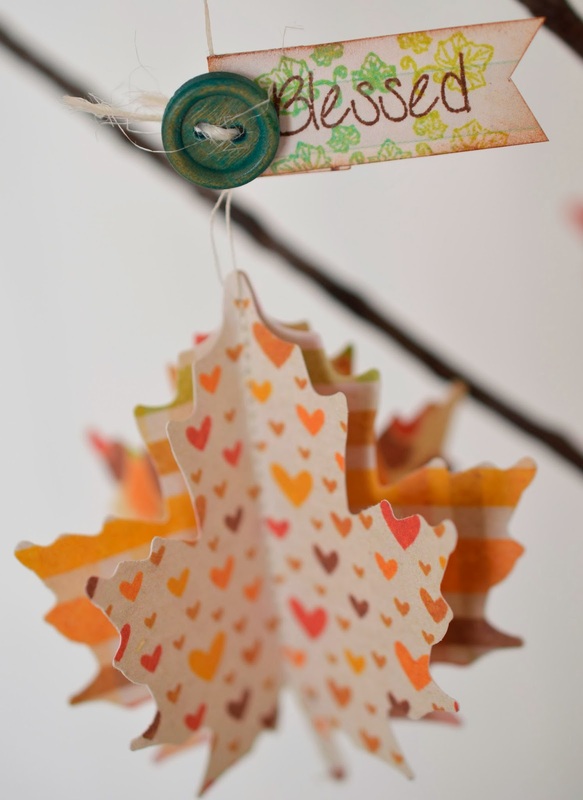 I've made paper leaves to hang from a branch, but never sewn them together for the fun 3D effect. So much fun.